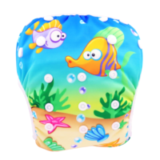 Adjustable Reusable Baby Swim Nappy for Babies 3 kg up to 15 kg. 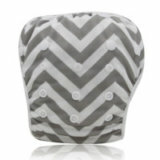 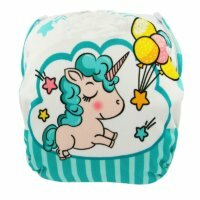 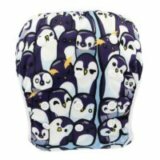 Ohbabyka Baby Swim Diaper are waterproof adjustable cloth nappies for babies. Perfect for the swimming pool or beach, for that swimming lesson or a relaxing time at the Baby Spa Centre. 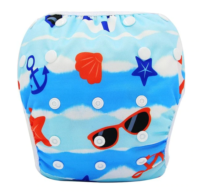 The swim nappy is designed to adjust and fit snugly around the leg to prevent any solid accidents from escaping. 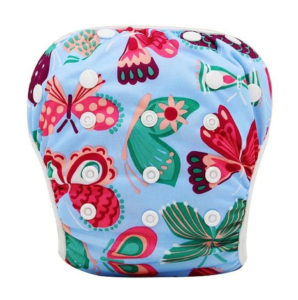 The adjustable reusable swim nappy can then be placed in the washing machine and reused again and again and again. Saving you in buying disposable swim nappies. 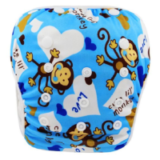 The nappy is designed to be fully adjustable to fit babies from new born up to 3 years of ages. 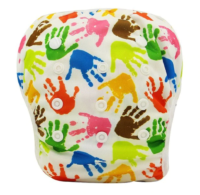 this is achieved by using the button system on the front and sides of the nappy. 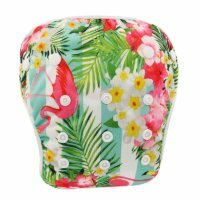 By simply use the snap buttons on the front that coincides with your baby/toddlers size for the nappy to fit snuggly around the leg. - One size design: S.M.L all in one size. (Please adjust the button according to the body size of baby),Suitable for babies from birth up to 3 years old.Fully reusable. Machine washable (30 degrees), do not iron, do not tumble dry.